solo hay lágrimas y dolor. Deseo que esta fotografía viaje por todo el mundo y que jamás se repita algo igual. Ealmente no son necesarias las palabras. Tienes toda la razón, una imagen bale mas que mil palabras. Indeed... Thank you for praying. So true - no more violence for this beautiful city (my son did his internship next to the Gaudy cathedral, and he told of his walks on the beach) - please give us more information about Barcelona for us, to be able to pray more focused! We have just booked a trip to Spain for next year, and I must admit I am feeling a little nervous, but I have been looking forward to seeing Spain for so long. Until then I pray for Barcelona, for Spain, and for all the people affected by last weeks terrorist attack, and with special thoughts to the family of the little Australian boy who was killed. So sad. Ya están en mis oraciones y mi deseo es que una atentado como este no se vuelva a repetir en ninguna parte del mundo. 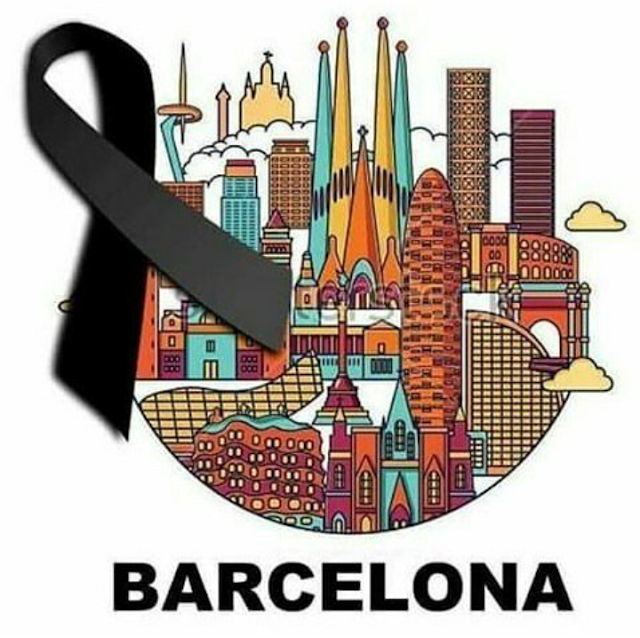 Totalmente lamentable lo que vivió Barcelona hace unos días, porque el dolor va a durar toda la vida. Un abrazo! I know! Such horrible events! Sadly becoming too common place! When is it going to stop!